Press V, blue tab, and unlock the first row. This allows you to use storage, set up stall stand, and increases your Scour Dungeon cap. 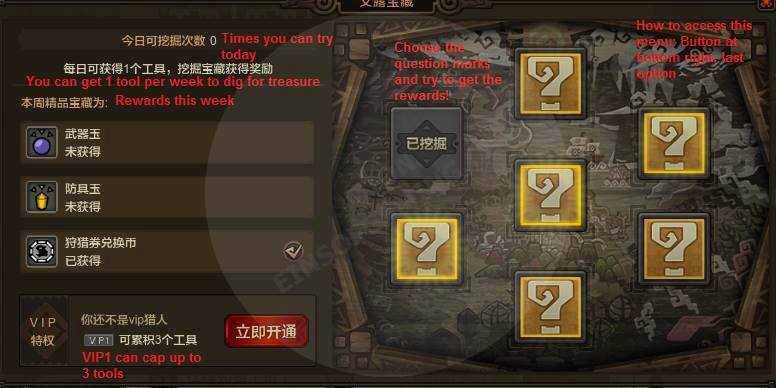 You get a variety of quests. You will want to focus on Orange (tutorial) > Dailies (U button) > Purple (recommended to do when you're waiting for people) > Yellow (main quest). Orange quest is important as it unlocks important features of the game. Make sure to check your quest log for available Orange quests often as you might miss them. Dailies are your main chunk of activity/exp/income source. It is best to complete all dailies in U button everyday. But if you are not able to: Guild Daily > Demonslaying > Guardian Trials > Darkfall Daily (if you still have it) > Four Kings > Scour Dungeon > Hot Spring > Poacher's Market. For on-the-ball players, if you are looking for more, do everything (or as much as possible since its a mix of PvP, group, small events, etc) in the O menu. I'm sure you guys know how the pages look like. Click on it. Each 3* page will cost 2020 Ausgyth Points. 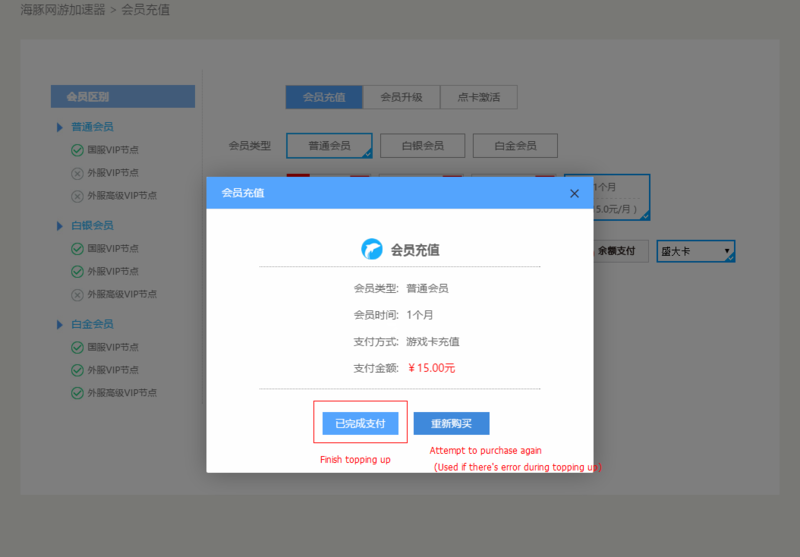 If you exchanging with 2* pages, you will be given a discount of 125 points. So that means ~17 2* pages will earn you one free 3* page. You can get them through newbie rewards and through Guardian weekly reward (Not Order quest reward, but you still have to do some of the quest to have enough contribution points for weekly reward eligibility). 5. Chance of drop from Misty Hollows (45). NOTE: Extent of lowered ping will differ for each region! 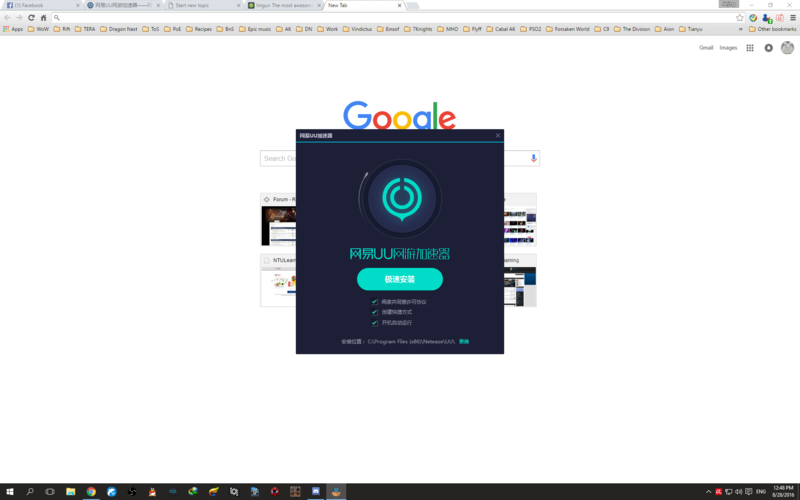 http://uu.163.com/ Press the green "free download" button and wait for it to finish downloading. Open the installer. The 3 tickboxes option from the top are "Agree to TOC, create a desktop shortcut, run booster when PC starts up" Click 更换 to change your installation location. Click the green button to continue. Choose the megaserver you are playing in. If you're not sure, click each one and search for your server. 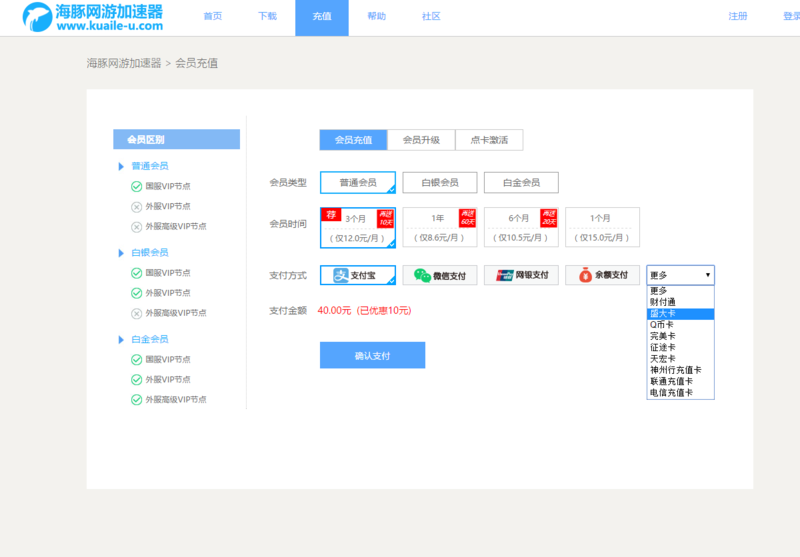 For those who play on 金玉满堂, the megaserver is 龙之觉醒. Dexterity: ~70, nothing less than that. Physique: ~20-40, but you will not be almighty invincible. Just enough for you to survive in case you mess up or lag. 30 should be fine. Spirit: ~30 or 40. Nothing more than 40. Why Dexterity at 70 and not lower: As Swordmage, your highest damaging skills are Lightning-type skills which are short DoTs. Their total damage is far higher than Fire-type skills (which is just a 1 damage-1 hit thing), and the damage is dealt per 0.5s. With high Dexterity, it ensures that each damage per 0.5s is a crit. Some CN players add it till 80, but 70 is enough for me. I have seen many Swordmages being played inefficiently, losing a ton of DPS in the process. People who continued Swordmages might have wisened up and played it correctly now, but most who just started might not be aware of something important: Swordmages stance change skill does not have a cooldown. Swordmage difficulty is rated at 4. Why? That's because Swordmages have to constantly change stances between Fire, Ice and Lightning in order to deal as much damage as possible. 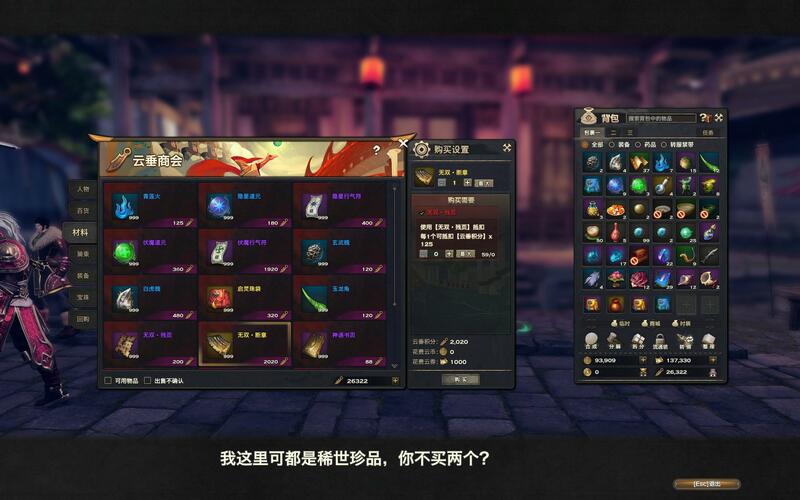 As a beginner Swordmage, you will get access to 1 skill of each element at first. Using one of these skills of a certain element, in the correct stance, will allow you to follow up with a 2nd hit if you press the skill button again. 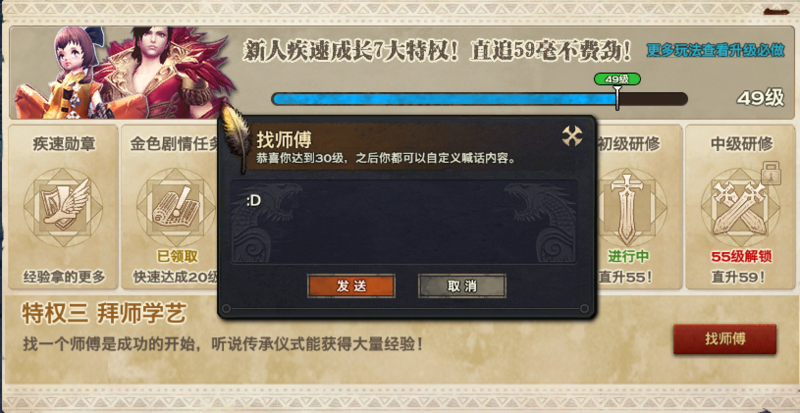 Therefore, high ping players might face difficulty in following up; there's a very short window to press the 2nd hit. 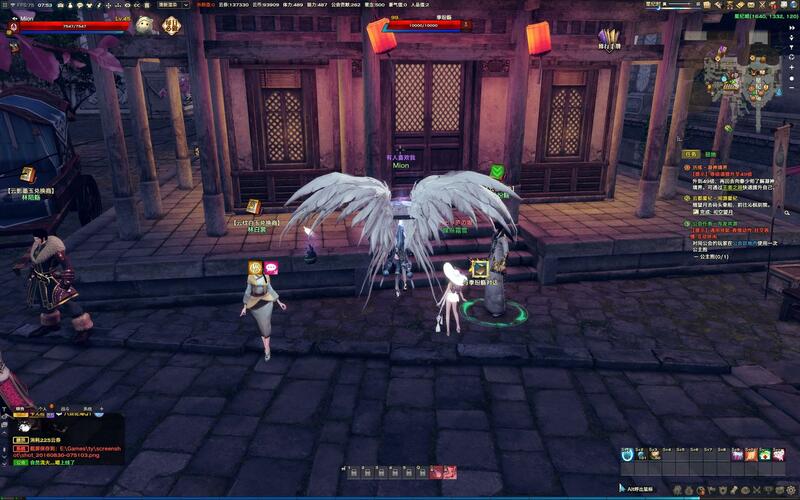 Example: Using Angelfire skill in Fire stance grants you one extra instant shot Angelfire. 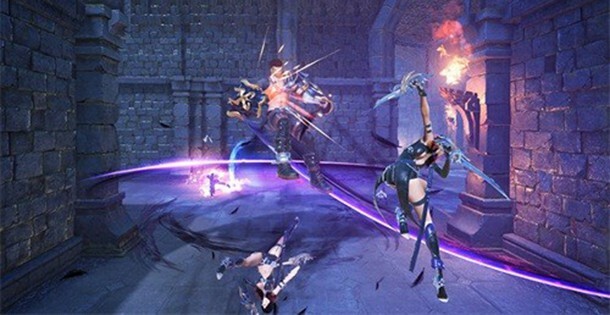 Using Lightning Orb skill in Lightning stance changes your Lightning Orb to become a stationary, high damage-over-time AoE on hitting an enemy. 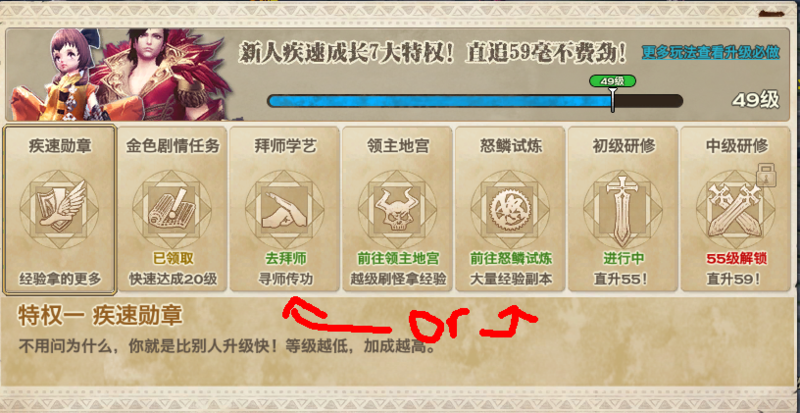 Skill rotations in this game are not static, since situations might change depending on dungeon. But rule of thumb is to always prioritise Lightning-specced skills first, since their damage-over-time skills can deal more damage in total than just a simple Fire-specced skill. As stated in the example before, the Lightning Orb is a high damage-over-time skill. Ice is only used as a filler to earn back Elements as its follow-up deals extremely little damage. It's a waste of Elements. The difficulty for Swordmages comes in when you need to constantly switch stances on the fly. For classes like Gunslingers, they can just permanently stay in Rifle stance and use their skills, but if a Swordmage decides to stay in Lightning stance forever, their damage will be affected. I would recommend to place the stance skills for Lightning and Fire stance into somewhere easy to reach. For me, Lightning is on RB and Fire is on R key. But it's up to you, especially those who have a programmable macro mouse. During the time when I was playing, I constantly hit 1 aggro position lower than the tank/healer. Swordmages can be a high-damaging and AoE glass cannon class when played right. Example: Your game client is version 1.0.184, latest version was 1.0.186. Download patches 1.0.185 and 1.0.186. The image up top will naturally change with proceeding game updates, and hence will only serve as an example. 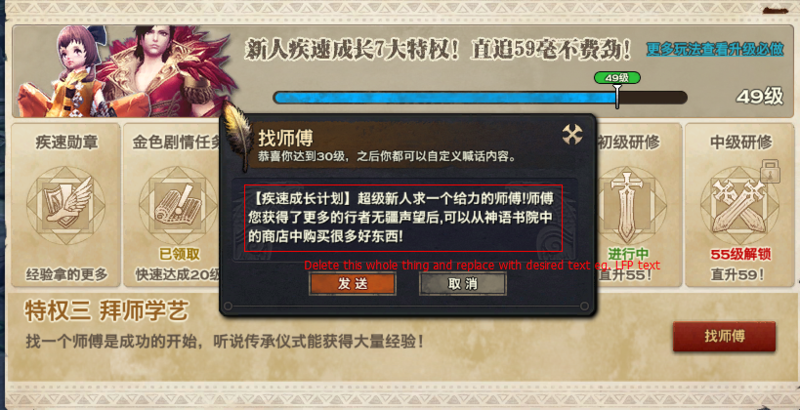 Please read the text properly as it is not feasible to keep updating the screenshot every maintenance just for this purpose. 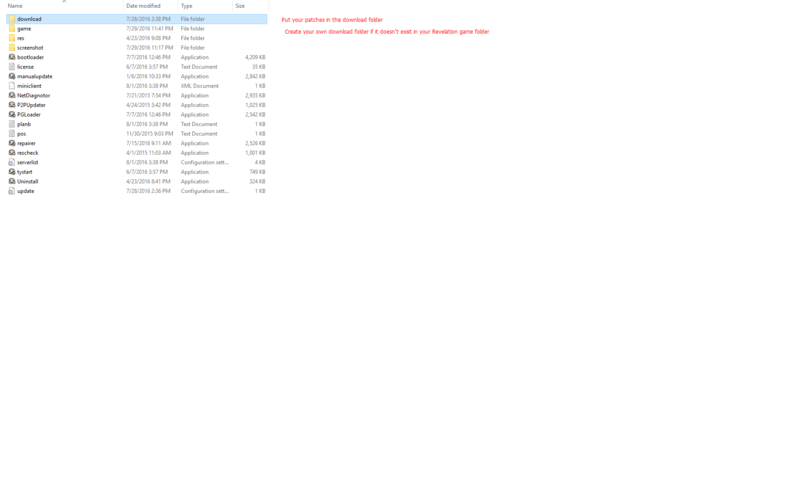 Reason why manualupdate.exe was not used when it was supposed to: There are reports from people getting a sort of error from manualupdate.exe followed by everything in the patch folder getting deleted. 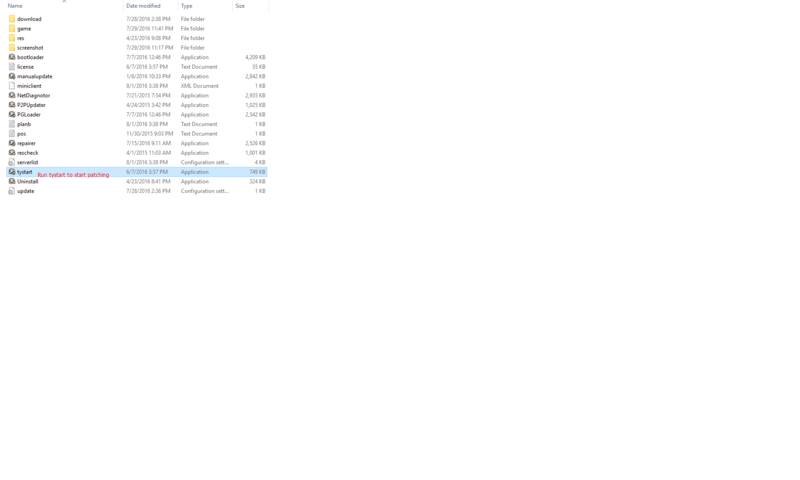 Running tystart.exe apparently does the patching as well, so I put that as a safer choice. Tried the trial and like Dolphin but no idea how to top it up? 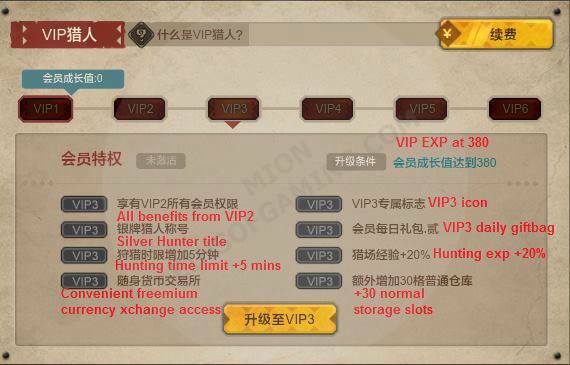 Silver VIP Member: Availability of both China servers and overseas servers for both CN and overseas games. 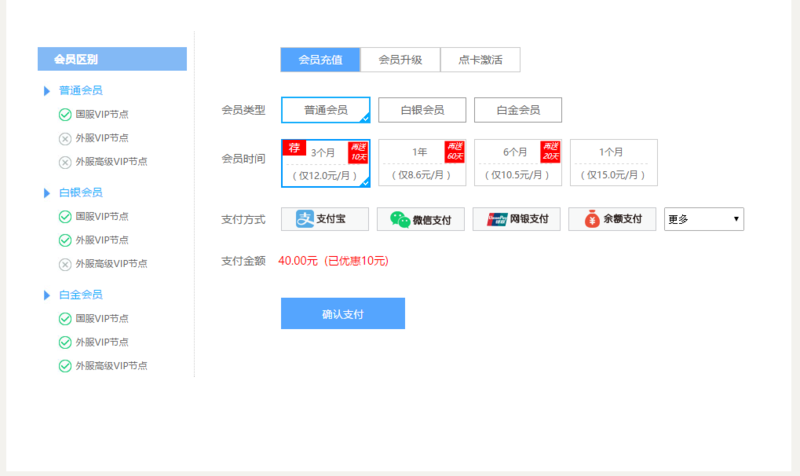 Gold VIP Member: China servers, overseas servers and high-grade overseas servers for both CN and overseas games. 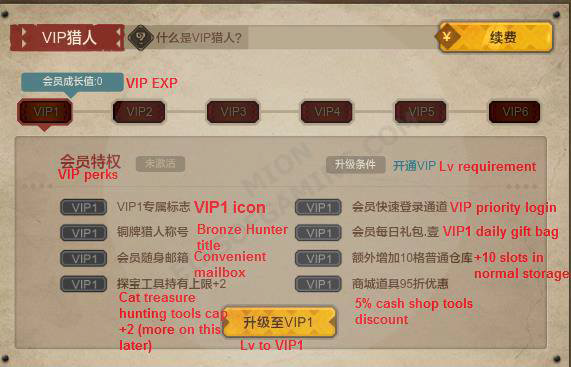 My recommendation would be to get just the Normal VIP Member if you only play Revelation CN. Dolphin only opens the use of free and China VIP servers for Revelation CN, so if you have Silver and Gold, you can't use those overseas servers. 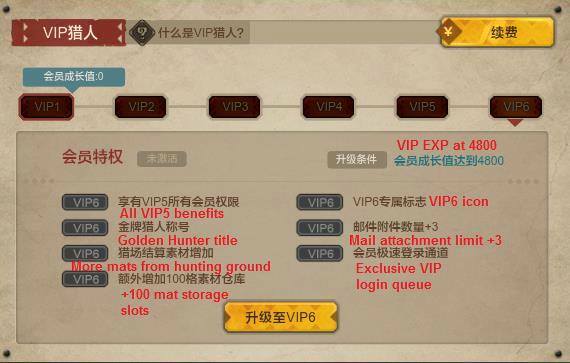 However, some other games require you to use a minimum of China VIP servers (meaning that you can't use free server for those games). Done making a decision? Feel free to run the page with Google Translate since the translations are quite accurate. Keep this page open and move to the next step. 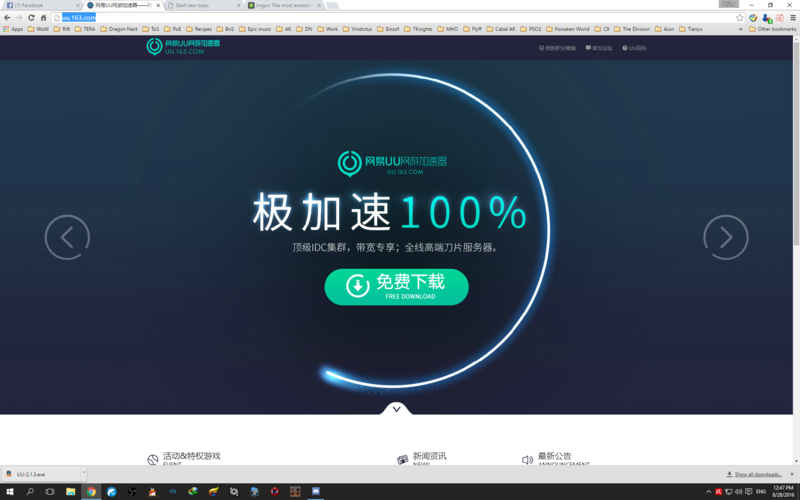 Go to cn-usa.com and choose 盛大一卡通, as well as the value you wanna buy (must be slightly more or equal to the price of your plan). 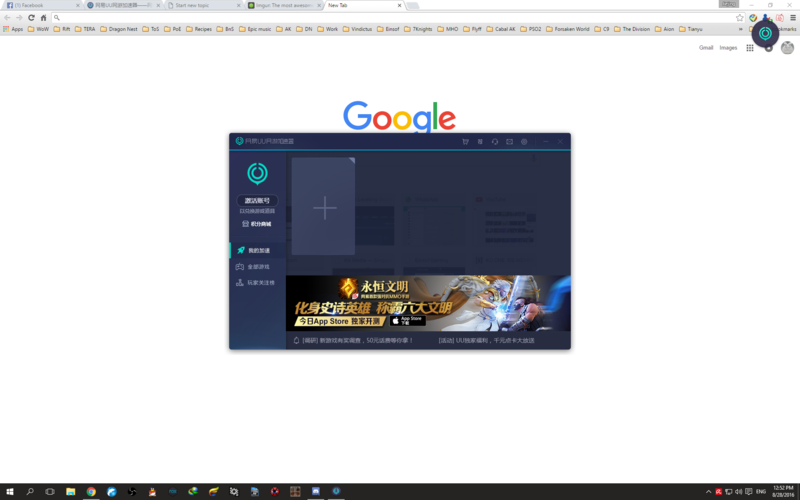 Click 购买 after that. Next few a pretty much self-explanatory since most of the site's in English. Choose Paypal Checkout, then click Instant Buy. 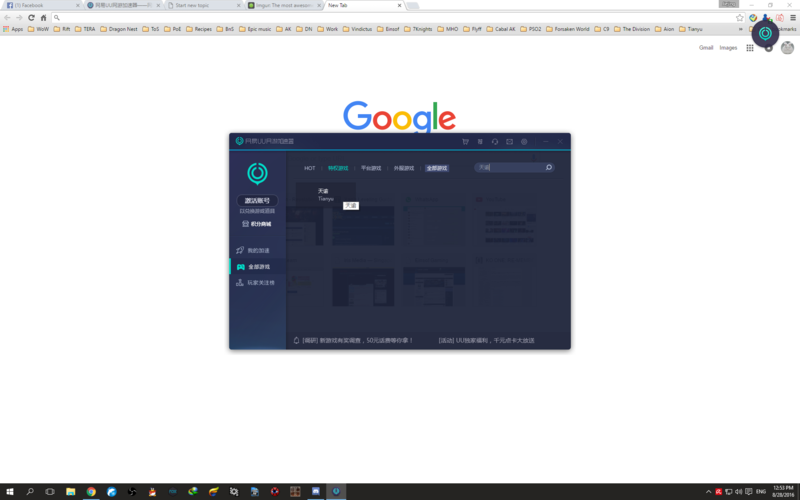 It will open a new page, wait for it to redirect you to Paypal. 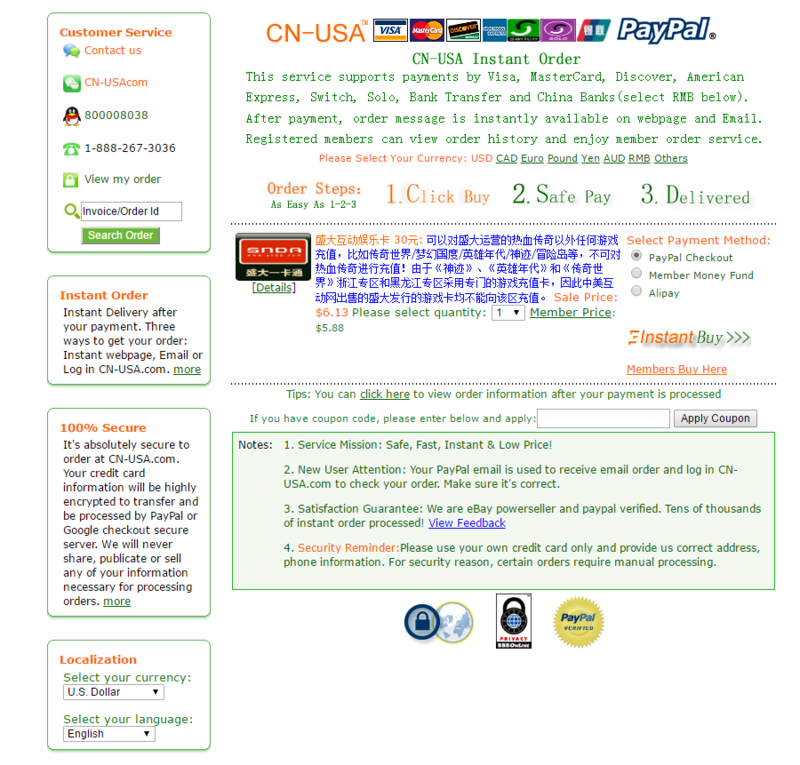 After payment, you will be redirected to another page with the card info. 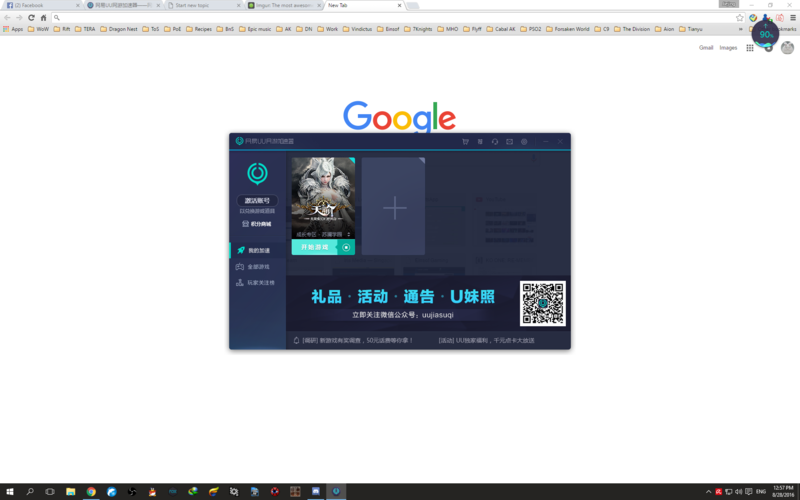 Go back to the Dolphin link in the beginning of this guide and sign in by pressing 登录 at the top right hand side. Choose your plan by clicking on it. You will be redirected to this page. 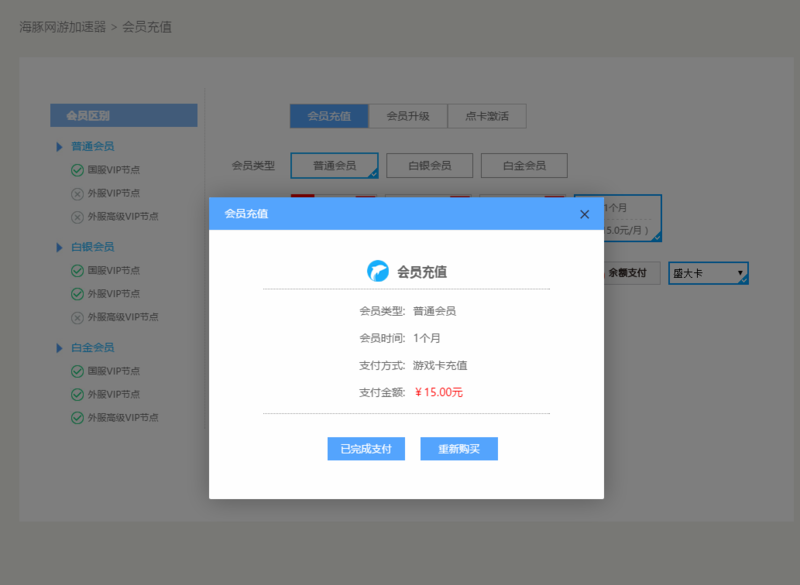 Click on 更多 followed by 盛大卡 in the dropbox. 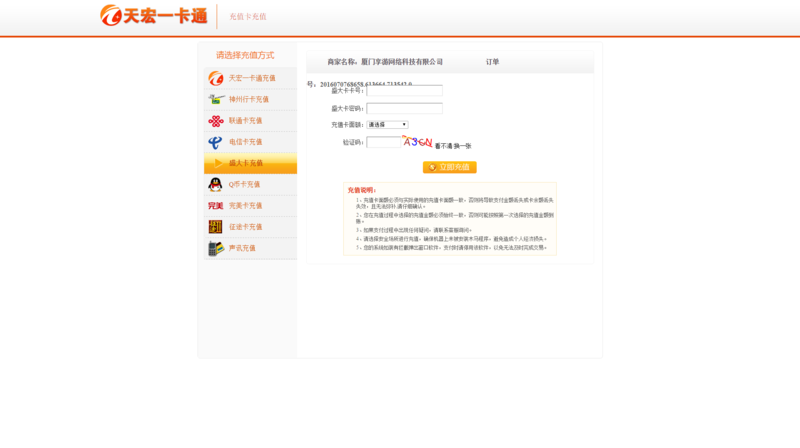 Click the blue button at the bottom. .
At the same time, you'll be redirected to an external page in orange. From the top, card number, card pin number, value, captcha. 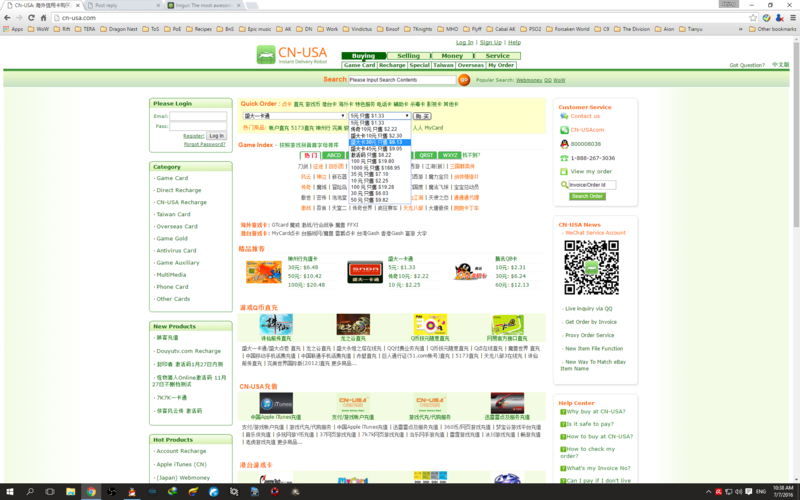 Make sure you choose the value that you bought from cn-usa. Click the orange button once all info is in place. 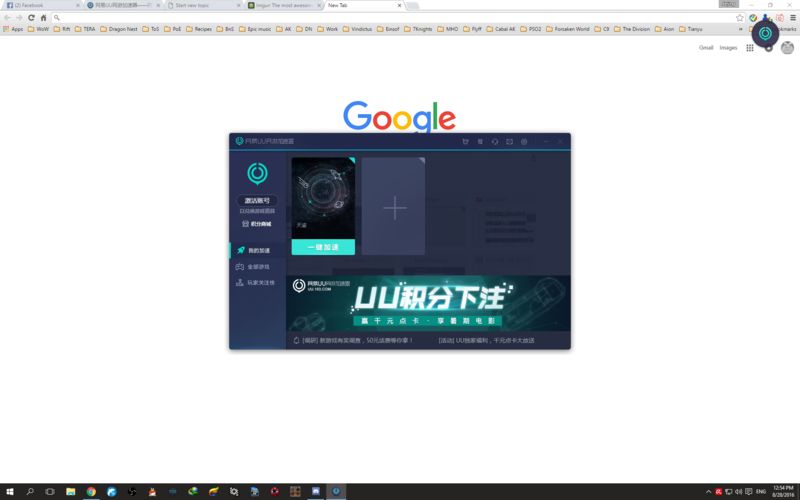 Login to Dolphin booster and check if there's a timer below your ID. That's how much time you have left for the VIP you just bought and also proof that the purchase was successful. Discount allowances for decoration "slotting" or equipment upgrading are 10% each. Certain bosses in MHO were in previous MH games, so usually their MH names are used, which can be a problem for players new to MH. Imma list descriptions for the boss' proper namings. Caesarber - Brown beaver seen in the tutorial battle. Usually the one in a forest map. Sand Caesarber - Yellow beaver, usually in desert maps. Usually confused with the normal caesarber. Gypceros - Yian kutku look alike, shoots poison and can stun with its crystal on its head. Try to break the crystal. Cephadrome - Fish/stingray hybrid, loves to dive under the sand and jump up at players. Use a sonic bomb to force it out of the sand or stand below the tall rock structure in map 7 so that it smashes into the rock ceiling if it jumps out. Chramine - Yian kutku with a sac at its chin and has a red mane on its head. Shoots electrified goo that explodes. Khezu - Possibly the most disgusting boss in this game. The best description of it is a raw, chopped up chicken that is defeathered and have no eyes. Mainly uses lightning attacks. Basarios - Kinda like a rock yian kutku. Beware if it dives underground: it might dig far away from the party and resurface while shooting a laser across the map. Do a leaping jump at the right timing to dodge the laser. Hypnocatrice - Looks like a yian kutku that is orange. It sounds different from typical kutkus and shoots liquid that can make your character sleep. Golden congalala - Golden baboon. The weakest spot is its face as compared to the normal pink one which is weak on its fur and face. Estrellian - Also nicknamed as star dragon. It's the one you chase away by spamming ultis/ougis on. Since the guild has very limited space and it can get very messy if there's a lot of people looking to join, this waiting list will be used to register members beforehand. 1. If you have listed your IGN below, you must include your FB name to confirm that you have joined our MHO FB group page. Otherwise, your application will not be entertained. 2. With this, the guild application in-game will be 2nd priority. If you have listed your IGN here, but also applied in-game, your queue will still follow this waiting list. If you did not list your IGN here, but applied in-game, it will not be entertained as well, and will be rejected accordingly. 4. 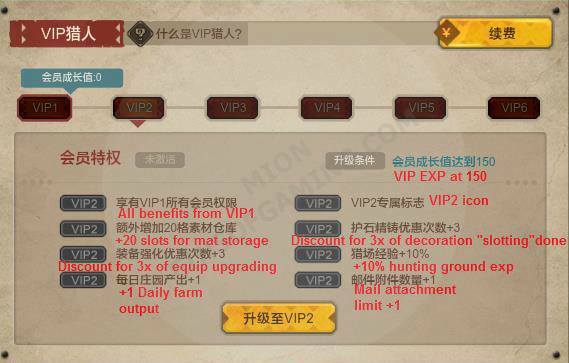 Guild status will be updated when there are any changes. 5. If there's no one to invite you since they are offline or busy, you can apply via the in-game Guild NPC, with the guild name Einsof. Do note that you must have already done step 1, and your application will only be approved if your name appears in the waiting list. 6. 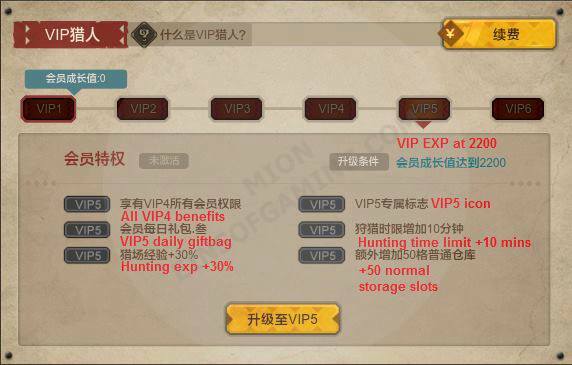 Once you are in guild, you will be given 3 days to increase your guild contribution from 0. Even if you don't have time to complete the guild dailies, you should at least collect your reward from the shared guild quest from the mailbox, there's simply no reason to remain at 0 unless you were busy for that 3 days. 7. If your contribution is not 0, your attendance will be logged. If you are offline for 7 or more days you will be kicked from guild. This rule will be in effect from this Saturday onwards. 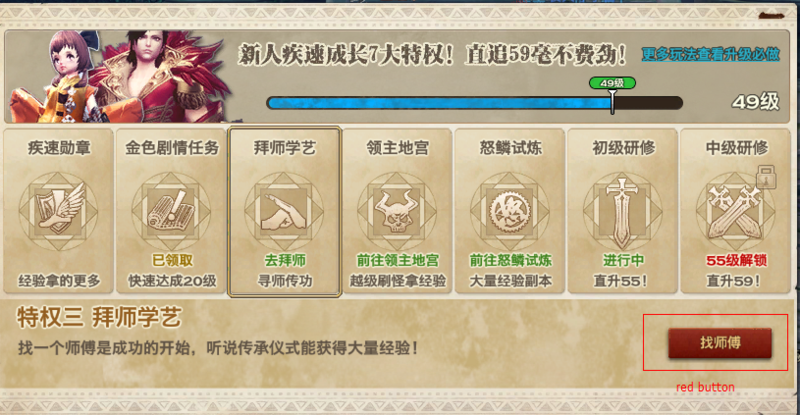 Current guild status: Remaining slots: 8, Guild level 3 with Guild buffs, guild skills, guild shop (for achievements). Hunter Star Levels are important due to the fact that the last 2 talent slots are unlocked at 3* and 4* Hunter levels respectively. My guess is Silver stars are enough, while Gold stars are for swag points. All hunters are 1* silver by default. Acquire Caesarber, Baelidae, Gypceros, Chramine armor sets. Note: You can have only a few stars being golden. Eg. You are 3* Silvers, you can do the achievement for 1* or 2* Gold depending on what you like. It's not compulsory that you have to do 3* Gold. But for each gold achievement, you will only be rewarded with 1 gold star. I've listed the objectives as 1*/2* Gold objectives, meaning that it requires you to be 1*/2* to even have the info entry in your achievement book. Note2: You can only get the next star level after filling up the bar that is shown on the first page when you press J. Will be updated once there's new events. 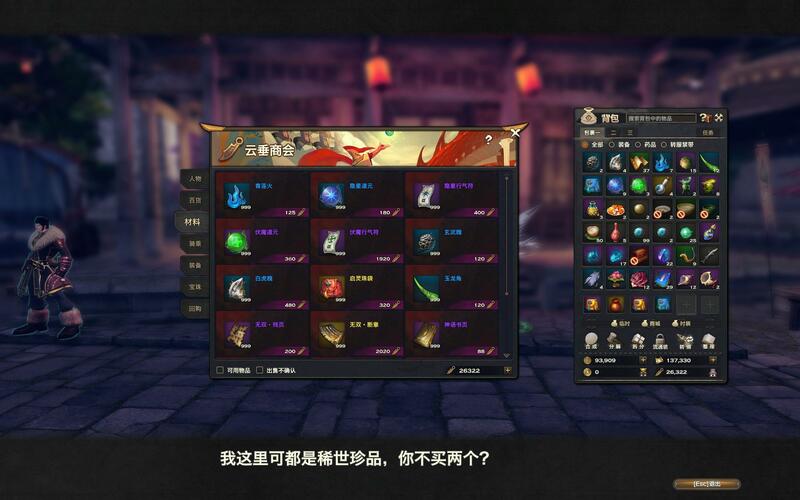 IMPORTANT NOTE: Items in this game shares icons. Please do not imply that since the icon correspond to a drop of one boss, it definitely means it's from that particular boss. Chances are, the tooltip says otherwise. Because of such reasons, I will not be including item icons. Randall: If for some reason a particular part is not dropping, it might be from breaking. 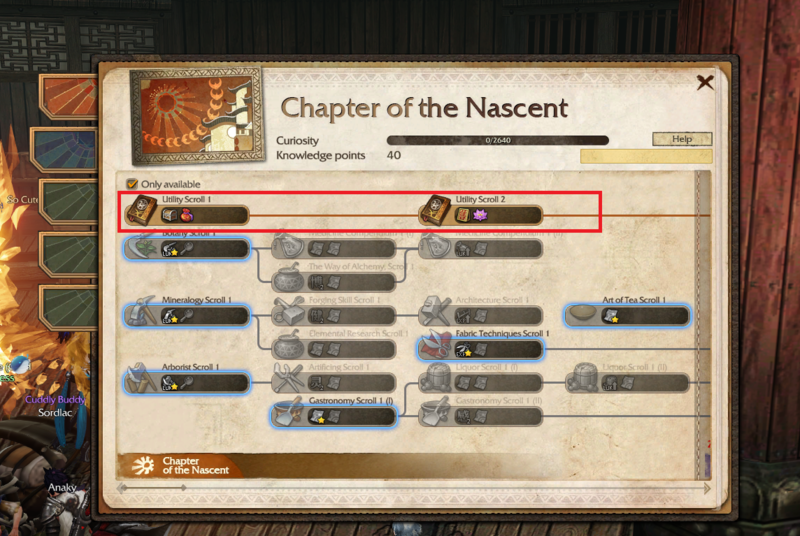 From past monster hunter experience there are some parts that are gotten only from capturing. Please do not share without permission and crediting!